If you are thinking about a stairlift for yourself or a family member, we can help. We have over 30 years experience in installing and maintaining electro-mechanical systems. 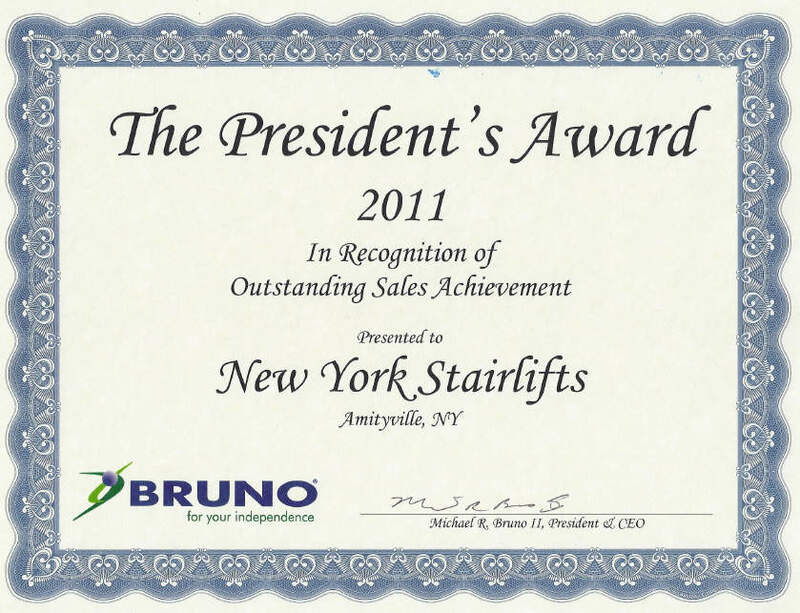 We are also an elevator subcontractor - and if we can safely install an elevator, you can trust us to install your stairlift. Choosing the correct stairlift can be confusing. We will help you understand exactly what a stairlift is, and how the safety systems work. Buying a stairlift is a major decision and we are the experts in helping you make the right choice. The Accessibility Equipment Manufacturers Association (AEMA) opposes self-installation because of the high degree of experience required to install stairlift safety features. No matter how easy the installation seems, lack of experience invites unsafe consequences. If you are considering self-installation, or installation by a non-qualified local shop that lacks our 35 years experience, please think carefully about the risks before proceeding. Does the installer do this full-time or part time? Will they show you proof of insurance? What type of insurance? Do they have a place of business, or do they work out of their house? Are they incorporated, or is this a hobby? Have they performed installs for schools and hospitals? 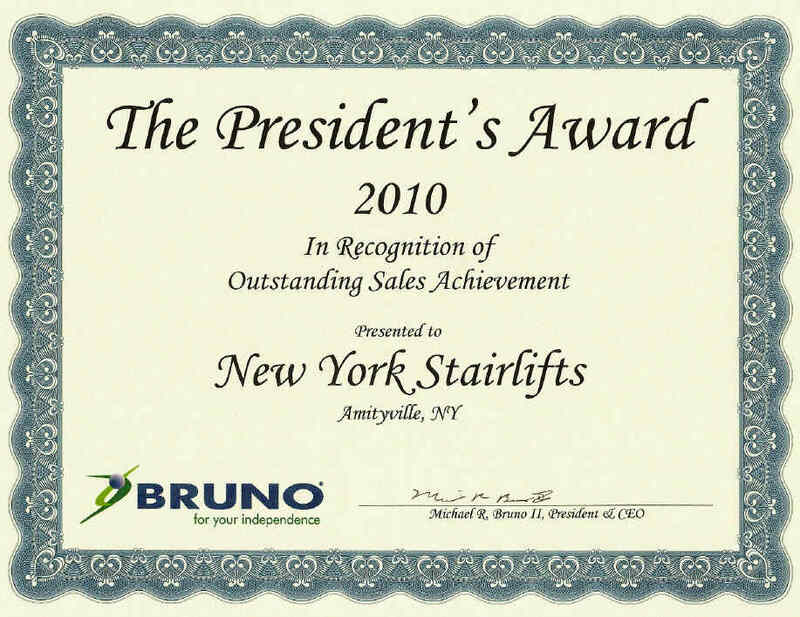 Are they dedicated stairlift install and repair technicians or is it just a side business? Is their business address proudly displayed on their website? Is it a real address, or a maildrop? In some cases installation from an unqualified technician voids factory warranties. The above questions will help you decide if the installer is qualified. 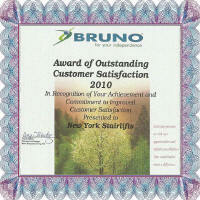 As an elevator sub-contractor, New York Stairlifts is fully insured with specific liability coverage for stairlifts. Properly installed stairlifts have a whisper-quiet, smooth ride. 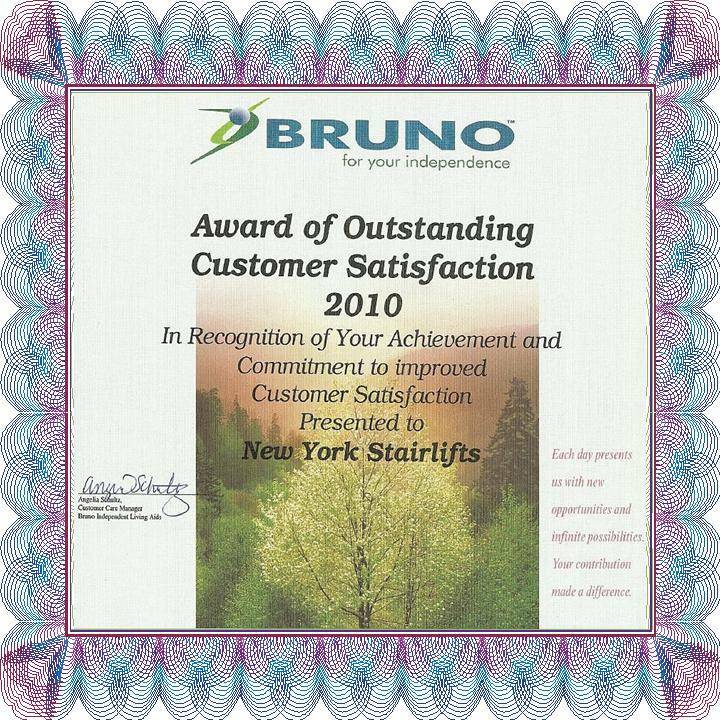 Properly installed stairlifts operate with a soft start and a soft stop. Jarring starts and stops are uncomfortable and potentially dangerous. To ensure the smoothest, quietest ride, our stairlifts feature electronically controlled soft start and stop mechanisms. To ensure the smoothest, quietest ride, our stair lifts drive units have 12 precision guide rollers (most competitors use only 6 or 8 rollers). The stairlift seat swivels at the top of the stairs and safely locks at 45 and 90 degrees. This makes getting on and off the lift safer and easier. For your protection, the stairlift will not operate while the seat is swiveled in the turned position. Every stair lift is equipped with an adjustable seat belt. Our stairlifts feature the industry's most sophisticated and thorough self-diagnostic system, A digital display shows detailed diagnostic information. which also allows you to help us diagnose your stairlift's systems by telephone. This prevents unnecessary service calls. Our stairlifts feature constant battery charging (most battery powered stairlifts must be parked right at the top or bottom to charge). Our stairlifts can be parked anywhere on the rail while the batteries charge. This prolongs the stairlift battery life by up to 50%. Our standard stairlifts are suitable for people weighing up to 300lbs. We also offer a heavy duty alternative with a maximum capacity of 350lbs and features a seat with more room between the armrests for additional comfort. 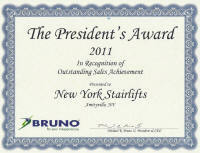 Our outdoor stairlifts are very popular, and is ideal for most exterior staircases. The equipment is treated to resist corrosion and wear and tear from the outdoor environment.